I exit Columbia’s Hollywood Theaters feeling dizzy. With my ticket stub for "Looper" still in hand, I spend much of my walk home trying to comprehend what I just saw. As the title suggests, the film plays with the complications and paradoxes resulting from time travel. 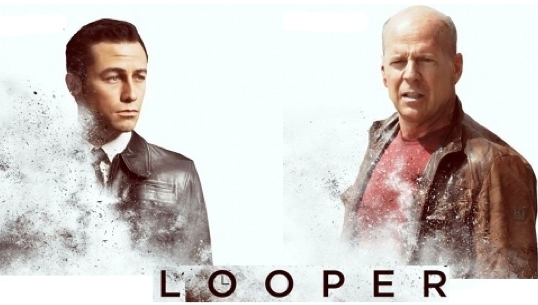 In a unique twist, “Looper” addresses the ways in which the black market uses the new science in a world where time travel is invented and immediately made illegal. The mob uses this technology to get away with murder. The story follows Joe (Joseph Gordon-Levitt), a killer, or 'looper,' and what happens when the man he is supposed to kill turns out to be his future self (Bruce Willis). It’s confusing, yes, but be warned: this is not a film that will hold your hand as you try and understand it. Apparently Johnson didn’t want to talk about time travel, either. The fast-paced film is set in both 2044 and 2074. Bewilderingly, characters from each era jump back and forth in the most complex game of cat-and-mouse ever played with almost no mention of the fact that they are actually traveling through time. Still, this gives the movie a very valid feel. Why would characters born into a world with time travel feel the need to explain it to an audience they do not know exists? This shifts the focus to the actual plot of the film, which lives up to the hype its name and posters have been creating for the past several months. I would recommend this movie to fans of “Bladerunner” and “Pulp Fiction,” as well as anyone who enjoyed debating the ins and outs of “Inception.” “Looper” is an engaging film that plays with your mind and teases your adrenaline. Plus, ladies, it’s Joseph Gordon-Levitt, with blue contacts. Need I say more?